This handmade wall clock gives old school analog timekeeping a modern update. 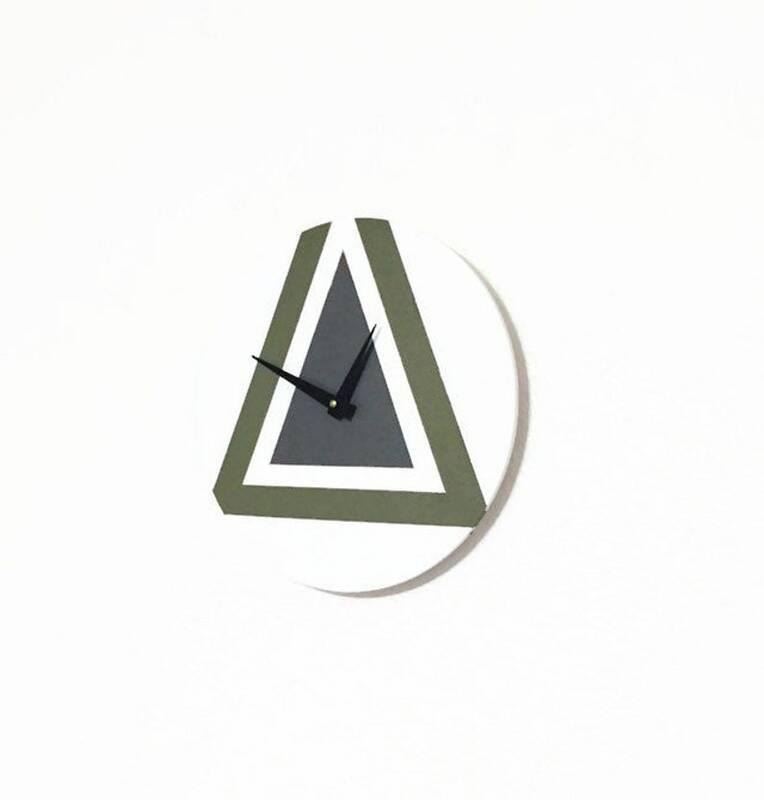 The clock features a striking green and gray geometric design, accented by the tapered black clock hands. Hand painted using a neutral color palette against a crisp white background allows the design to shine. With sharp lines and trending design, this eco friendly wood clock will make a great addition to your home decor, office decor or gifting occasion. The clock is battery powered and made in Boerne, TX from reclaimed wood. This is a Shannybeebo Clocks original design and can be custom painted using your favorite colors. Send a message my way if you would like to discuss different colors, size, design, hands, etc. I would love to create a clock for you! Clock Size : 12" in diameter by 1/4" thick. Assembled with a new silent quartz clock mechanism. Colors may vary due to the differences in computer monitors. Please let me know if you would like additional photos.